Buhari ally Mohammed Lawal cautions those thinking the President would to succumb to any form of intimidation to perish such thought. 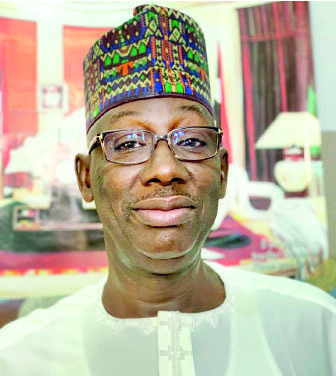 Former Deputy Director of the Buhari Presidential Campaign Council, Engineer Mohammed Lawal, has warned those who think that President Muhammad Buhari was going to succumb to any form of intimidation to perish such thought. In an interview with VINCENT KALU, Lawal said the president is not former President Goodluck Jonathan, who capitulated to Obasanjo’s bullying. He declared that Senate President Bukola Saraki will be served the bitter dose of impeachment he had planned for Buhari when the National Assembly reconvenes. How do you react to the gale of defection that hit your party, the APC? Their grievance is that they wanted to be accommodated, and their grievance is not against the President. For example, the Senate President, Bukola Saraki wanted to be given the entire APC structure in Kwara State, and be given the party ticket and to return as the Senate President. Kwankwaso wanted the same thing in Kano; Tambuwal is very ambitious in his Sokoto State. These people are very selfish. About 90 per cent of appointments going to Kwara State is Saraki’s nominees. These people are not careful, they are not patriotic and they are telling Nigerians who they are – ungrateful people. The same way they left PDP for APC is not the same way they are moving back to PDP, people are watching them and doubting their sincerity. We are watching them, it is not over. Saraki is still the Senate President, while Abdulfatah Ahmed is still the governor of Kwara State, there has never been an election in the state. They said it that during elections, Saraki shares money to ensure that he and his people win. This is what has been going on in Kwara. As far as he is concerned, he will use the money to put his people. Look at the revelation coming out from the Offa bank robbery incident, where over 30 people were killed. The suspects confessed to the whole world that during elections, Saraki armed and give them money to ensure his victory and that of his people. Look at what happened in Sokoto, members of the state House of Assembly were given N32 million each to decamp with the governor to PDP. Some of them later returned to APC. We are not dispirited; this will make us work harder. Are you worried these defectors can stop Buhari’s re-election? We are doing a lot, and we are not going to disclose on the pages of newspapers what we are doing. We know the power and we have tasted power and we are in power, and what happened under President Goodluck Jonathan cannot succeed with President Muhammadu Buhari. The president can never succumb under intimidation from anybody; nobody can intimidate him. Obasanjo succeeded in undoing Jonathan, but he can never succeed against Buhari, and he knows. We are students of power, and if not because we don’t want Nigerians to say that Buhari is not a Democrat, it shouldn’t have been like this. We would have moved against these people. We know what Saraki was planning to impeach the president. The chairman of the party arranged for them to see the president after they have seen him, he turned back to frustrate the president and to undermine the party, and had already made up his mind on what he was going to do. We will see how far they can go, we have our own plan, and we are in power. The game is not over, it is going to be interesting; when the Senate reconvenes we will see what will happen, and let them not take for granted the tolerance, patience that the president has shown all this while. Look at the delay in the budget passage for almost six months; do you know its consequence on the economy and the people? This shows that these people are not patriotic. Are you saying the development can’t disrupt the Buhari government? Yes, it can, but they can’t succeed. What they wanted was to initiate impeachment proceeding against the president, that is, following a court pronouncement, but they didn’t have the number. Let them resume, the impeachment he was planning for the president will go to him. Do mean the Senate president may likely be impeached? Is it a big deal to impeach him; what is the big deal if he is impeached? That was a second time he nursed the idea of impeaching the president, so if he is impeached, what is the big deal about it; is he above impeachment, what is wrong with impeaching him? That is what he wanted to do to the president. Is what happened in Benue were eight lawmakers out of 30 tried to impeach Governor Ortom part of what awaits the defectors? No. You heard what the president said when he learnt of the defectors, he wished them well in their new party. He was not disappointed with them because, any of them who wants to come back, he would embrace him. I assure you many of them will soon realise their mistakes. He is not going to join issues with any of them; it is their fundamental right to go where they want. The killings in Benue are a very bad case, but the governor has made it political. Some Nigerians allege that former military generals, Obasanjo, IBB, Danjuma, Gusau etc are the ones fuelling this crisis in the ruling party. Do you agree with them? There are some that have come out openly to sponsor and promote disharmony. Some of them have also advised the president not to contest again. They have money that they can give to people. Like Obasanjo, who has made so much money, but he thought that Buhari was Jonathan. He is going to fail in this project against Buhari. We are going to sort it out with him. What are their motives for trying to stop Buhari? They want to stop him because he said Nigerians should enjoy the wealth of this country and that it should be evenly distributed, but one person wants to corner everything for himself alone and his family. You bought the Transcorp Hotel, you forced the governors to donate money and you built a presidential library that cost billions of Naira. The president wants the national cake to go to all Nigerians but these people said, no. With TSA, he has blocked most of the leakages where some of these people were feeding fat on the government, and they are not happy because more money is going into development. These people are happy seeing Nigerians suffer. How are you going to handle close associates of the defectors who are still in APC? Honour dictates that they should resign. If they don’t, we will force them out and continue with the change agenda. There were so many of them who were PDP in the night and APC in the day, and this possesses some challenges in actualising the programmes of the party, but now that they have left, the party will be properly focused. Look at Bolaji Abdullahi, he knew that Saraki wasn’t there again, so he left. The honourable thing for the remaining ones to do is to leave, or we would act. No two ways about it, they have to leave the party so that we concentrate. What are your strategies for winning the election? In fact, for too long these people have been playing with our intelligence, taking us for granted, and taking our benevolence and accommodation for weakness. It will depend on the state. Example, in Kwara, it may require putting five policemen per polling unit in order to deter the remnants of Saraki ‘good boys’ if they still remain, from doing disturbing the elections, we will do that. In Sokoto, five Police Mobil per unit. In Benue, with Senator Akume holding the fort, we may consider five soldiers 500 meters to each polling unit with five civil defences. Other states have their strategic plans in the kitty, reviewing from time to time depending on the political exigencies, all geared towards ensuring free, fair and peaceful elections, where every vote counts. How do you market Buhari for 2019? It‘s going to be tough, but what is working in our favour is that as far as the gladiators are concerned, is there any of them better than Buhari in terms of integrity, honesty and sincerity of purpose? He has done so much beyond the imagination of the opposition. Look at the standard gauge railway from Lagos to Ibadan, which is a priority for the Yoruba. You can’t say it’s a wrong decision by the government. The project has been on the drawing board for so many years and the PDP government didn’t have the political will to start it, but now the project is ongoing. 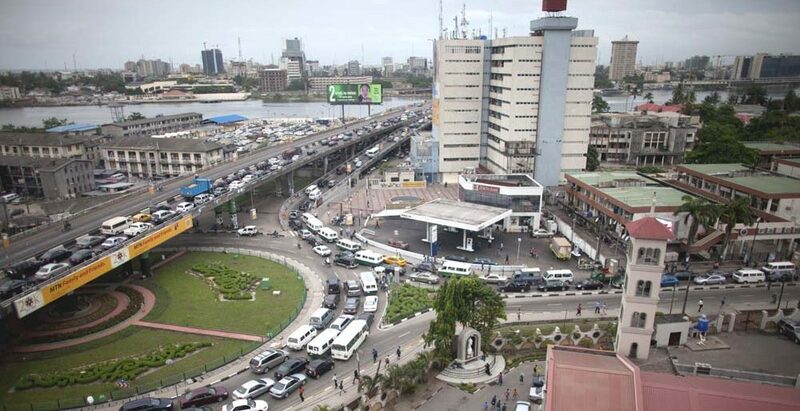 No matter how bad you hate Buhari or attach a religious bigotry badge on him as Obasanjo and others are trying to do, you cannot deny the fact that he met about ten major roads in this country that can dramatically change the economic fortune of this country that the previous PDP government ignored. We raised Sukuk bond of about $100 billion, and approved $10 billion for each of these roads, and mobilised contractors, these roads are about 50 per cent completed. You cannot deny some parts of Borno were under the control of Boko Haram before Buhari came, but those areas have been liberated. In the area of security, nobody would say that we have not tried. Nobody will say that the challenges we have in the North-East, Middle Belt, South-South, South-East, South-West and even in the Northwest, are not being attended to. In the area of agriculture, nobody can say that we have not attended to eating what we grow, and growing what we want to eat. We came out of recession. There are a lot of things we have done. In the Southeast, the leaders of the region are joining APC not because they want money, but they saw that for 16 years what didn’t happen in the zone is happening. Anybody doubting it should travel from Onitsha to Enugu or drive from Enugu to Port Harcourt. Is it the Second Niger Bridge, visit there and see if something is not happening there, visit the erosion sites in the Southeast and see if something is not going on there. All these are areas of activities of which the Southeast leaders are grateful and they started joining APC. But because of the new emerging herdsmen problem in the North Central, which is even more pronounced in Buhari’s Northwest region of Zamfara, where the same herdsmen are killing their own brothers and sisters more than in Benue State.